These classes are designed to develop the necessary skills in preparation for and / or complement instrumental lessons. Children are encouraged through the natural sense of play to be active participants in music-making, while developing listening skills, in-tune singing, beat and rhythmic comprehension, and basic musical concept knowledge (tempo, dynamics, pitch). 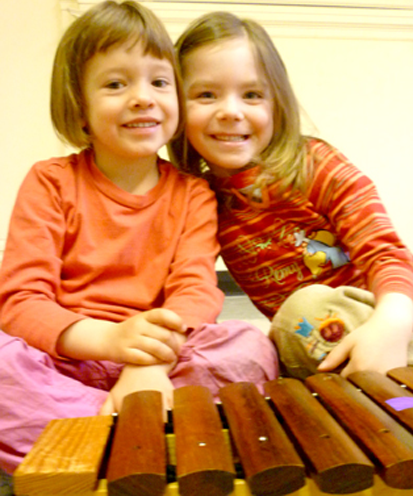 Singing and movement activities are proposed, as well as playing of small percussive instruments such as xylophones, drums, glockenspiels, etc.. The course encourages music-learning by doing and exploring and provide cooperative learning experiences in a group environment.